I partnered with Oriental Trading Company on this post. All thoughts and opinions are my own. School’s out for summer! Or almost anyway. 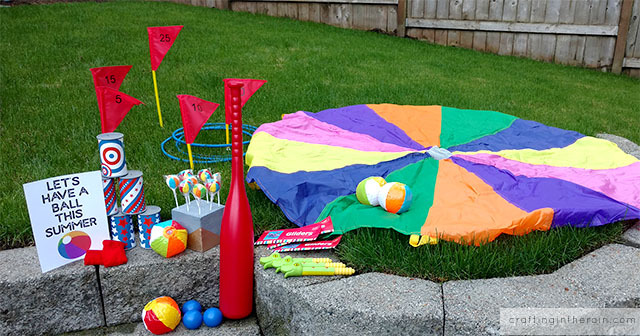 My kids don’t get out til the middle of June, but I’ve got this summer fun kit waiting for them. Doing a basket like this on the last day of school has become a special tradition for me. I can’t remember if I started it with my oldest daughter, but I do remember the year my second daughter came home on the last day of Kindergarten. She was in tears, distraught over saying good bye to her teacher and her friends she’d made (some of whom she would continue seeing over the summer 🙂 I was so glad that I had something planned to cheer her up right away as we played with some new toys in the backyard. This year, it will be a little different – That same daughter is now finishing up 5th grade. And the other two kids are finishing 7th grade and 2nd grade. There are lots of options for what you can put in a bag or bucket like this. I stocked it up with items from Oriental Trading Company. 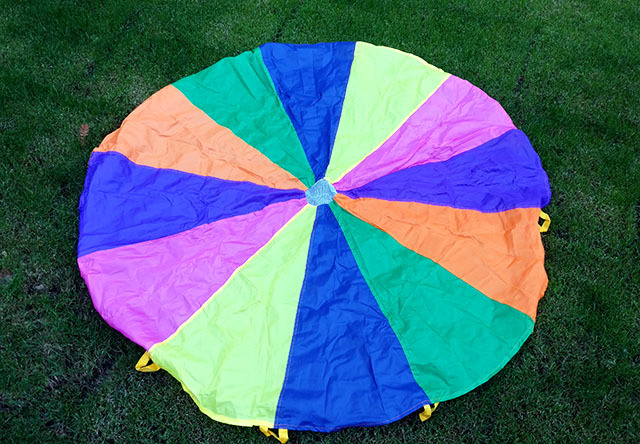 Every time I’m surprised by the things they have there – did you know you can buy one of those big play parachutes you used to play with in gym as a kid? Parachute day was the best day! I decided to get a smaller version, since I’ve just got three kids, and they might use it inside. 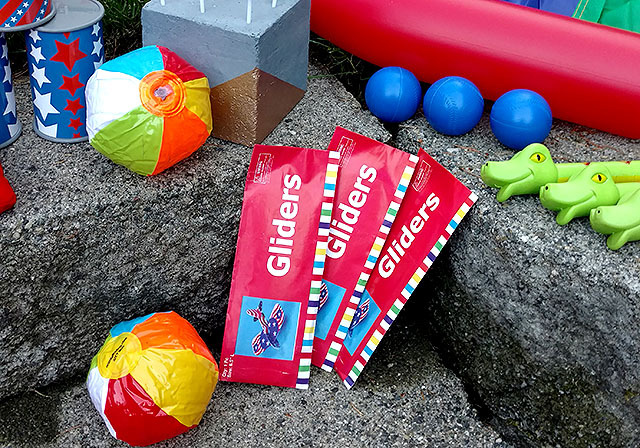 I also got some mini inflatable beach balls for them to toss around using the parachute. 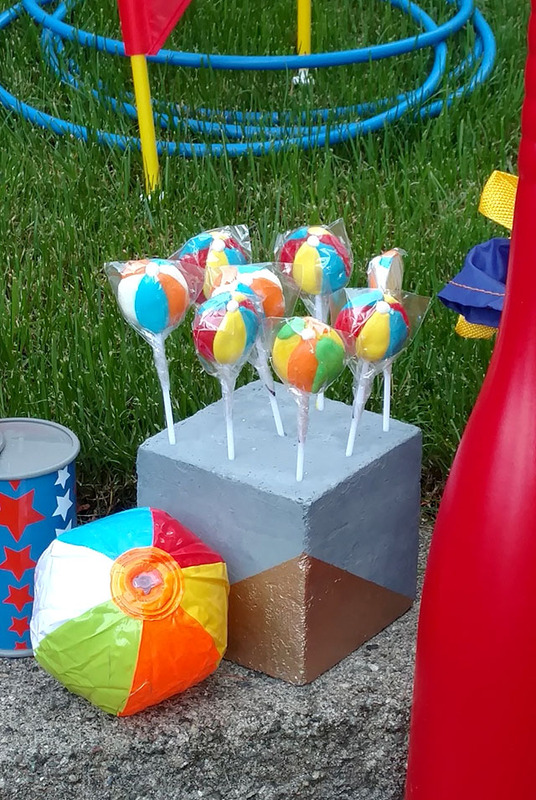 (But seriously, how many cool points would you earn if you ordered one of the giant ones for your kids and their friends to play with!! )In keeping with the beach ball theme, I picked out these adorable beach ball suckers. For some outdoor play I got a ring toss game. Since we just had our yard landscaped and there’s real grass out there now, I see them spending a lot of time out there this summer. 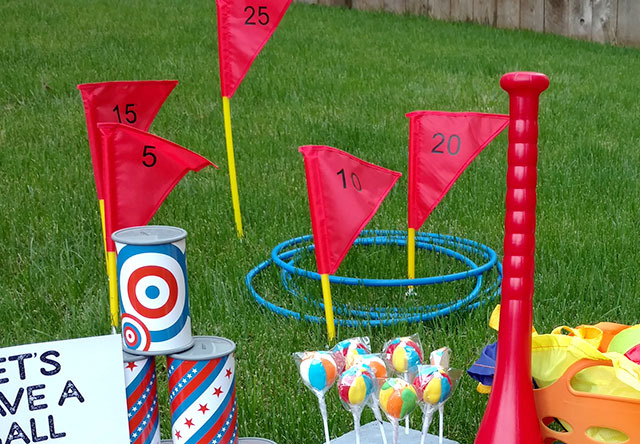 They’ll have these water shooters to play with when it gets toasty, and a bean bag toss game. Since it’s red white and blue, it will be perfect for our 4th of July festivities too! 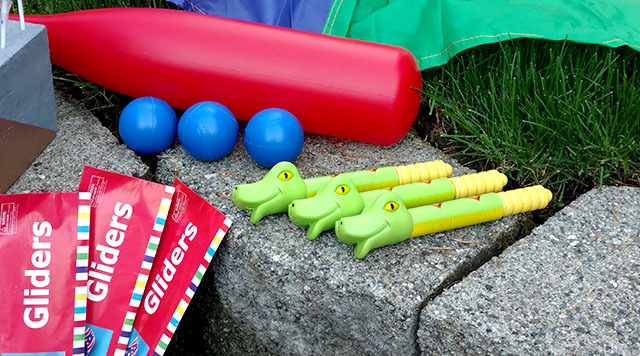 The plastic bat and balls will be great for a trip to the park, and so will the foam gliders they can put together. I hope they like it when they get home, and that it will be like a special note from me even though I’ll be at work (at my internship) when they actually get off the bus on that last day of school. If you want to do something like this for your kids, be sure to check out all the goodies from Oriental Trading Company, including things like craft kids, themed favors and even decorations. Enjoy your summer friends! 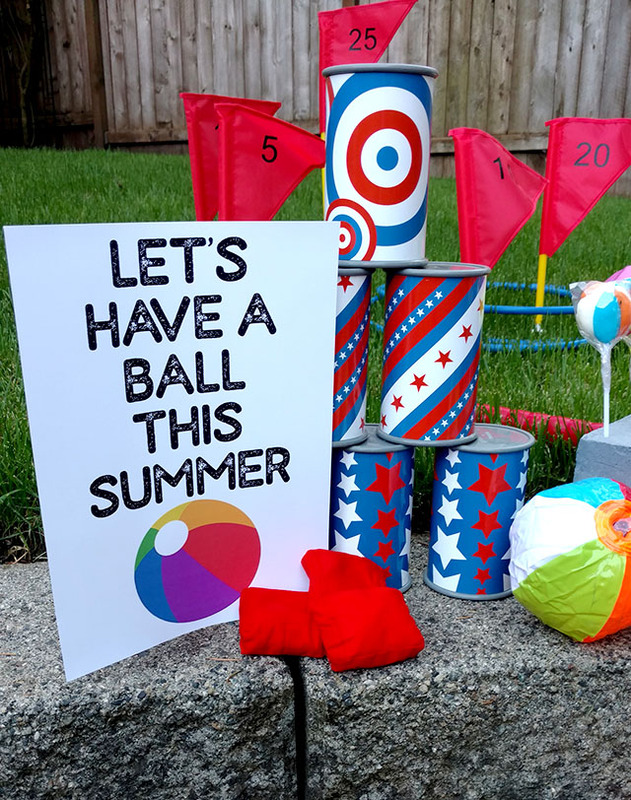 And if you’re already done with school for the year, you can still order some of these fun things to play with all summer.